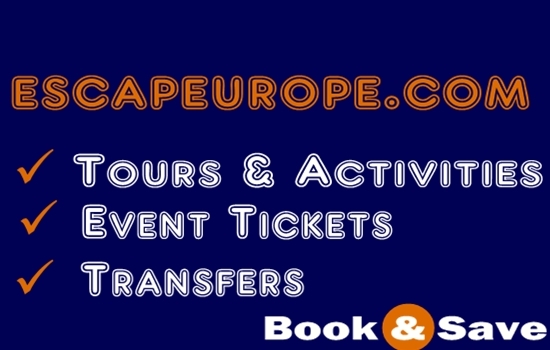 The use of all services provided by escapeurope.com, through the office web site and the rest of the associates that means undoubtedly the acceptance of terms and conditions as described in this page. The content of this website belongs to the escapeurope.com ™, partners and suppliers. All the rights are entrenched under the law. The brand escapeurope.com belongs to Z Group, Public Limited, Hotel-Tourism-Trade Company (AXTE). Logos, images, trademarks and all identifications that may appear on this page exclusively belong to escapeurope.com. The escapeurope.com, operates as an intermediary between the customer and the hotel and not in any way as a tour operator, selling Package Holidays ( Hotel + Flight). The booking process is the one described in Frequently Asked Questions (FAQ). Escapeurope.com disclaims any responsibility for omissions, failure on the side of the hotel and accommodations to meet its obligations in favour of customer. All descriptions of the accommodation on site are based on information given by the owners of accommodation, thus any responsibility for bringing any false or deceptive information may exist. We lay vast effort to verify all information and in any case we can not guarantee the correctness / validity of these descriptions. The use of these services involves complete acceptance of the terms and provisions as described in details for each service separately. These services are provided by independent third parties and not by escapeurope.com, which serves as an affiliate / partner. The use of these services is independent of any reservations made through the system of our company. Each use of these services requires the charging of credit cards, although this process underlies on a separate cancellation scheme. The escapeurope.com and partners run the most up to date technology concerning the security of private data when using the internet. For this purpose we use valid security certificates. All information sent to us is encoded by the reliable method of standard technology "Secure Socket Layer" (SSL). The escapeurope.com and the on-line partners carry no responsibility for the misuse of this website. The escapeurope.com disclaims any responsibility for any damage, loss, destruction, accident, death, caused or suffered during the trip or staying at a hotel, which is a result of negligence, failure, omission, feasibility, of yours or the hotels (staff, facilities, management), accidental circumstances, force majeure or third parties.